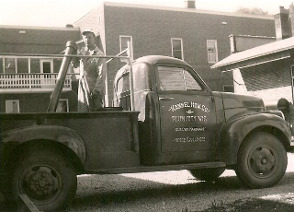 We have offered plumbing services since 1948. Currently, we are in our 3rd generation of master plumbers. Call to receive pricing for your new construction, remodeling, radiant heat , light commercial, or dairy plumbing system. Our rental department offers a small line of rental items which include: electric jackhammer, rotary hammer drill, appliance dolly, sewer tapes, carpet cleaner, and wall paper remover (steamer).